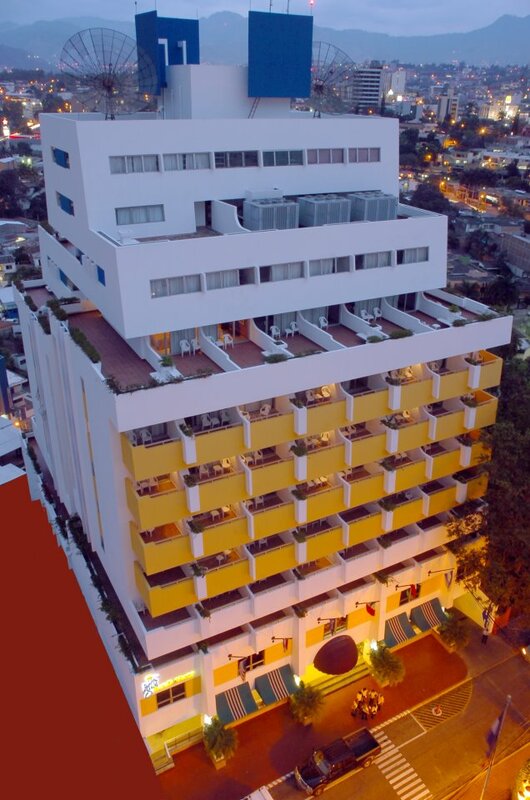 Hotel Plaza San Martin began operating in 1991, becoming one of the leading hotels of the capital, Tegucigalpa. Its terraces and balconies overview the entire city's surroundings. Every corner of the hotel is decorated with authentic national works of art, paintings, sculptures, and antiques and even historical artifacts of Mayan origin, our national pride, giving the visitor the feeling of being in a true art gallery. The Plaza San Martin Hotel is located in the Colonia Palmira in front of the San Martin Plaza, a central area close to downtown where you can admire colonial style architecture and will be near the financial and business districts and all major shopping and recreation areas.